Globally, LGBTQ people are still facing open violence and discrimination on a daily basis, just for living their lives authentically. And across parts of Europe, Asia and Africa, these acts are legitimised by law. 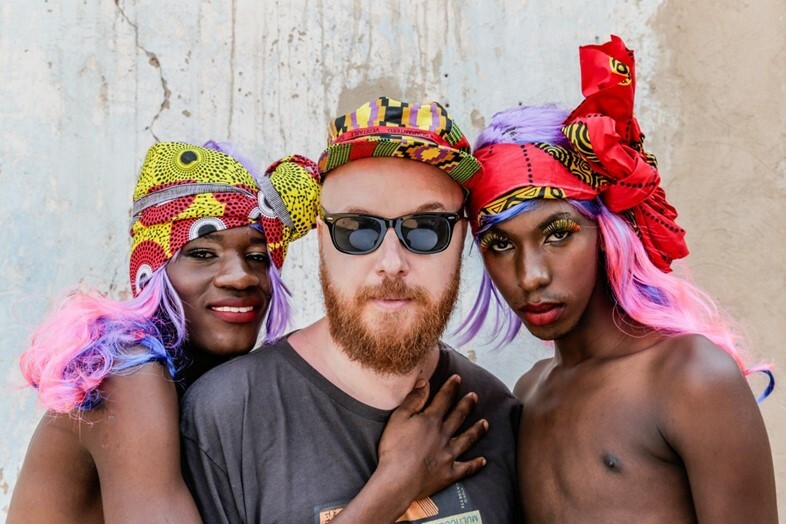 Rainbow Riots is the international charity releasing an uplifting album featuring LGBTQ artists from countries where it is seriously dangerous to identify as they do: from Jamaica to South Africa, Uganda and Malawi. The organisation was initially founded by Swedish artist and producer Petter Wallenberg to protest the platform given to those who explicitly support and incite violence against the LGBTQ community worldwide. From there, it became about bringing together music and culture from around the world in the fight for LGBTQ rights – the collective is striving to give visibility to those we don’t often see and voices to those silenced by oppressive regimes. 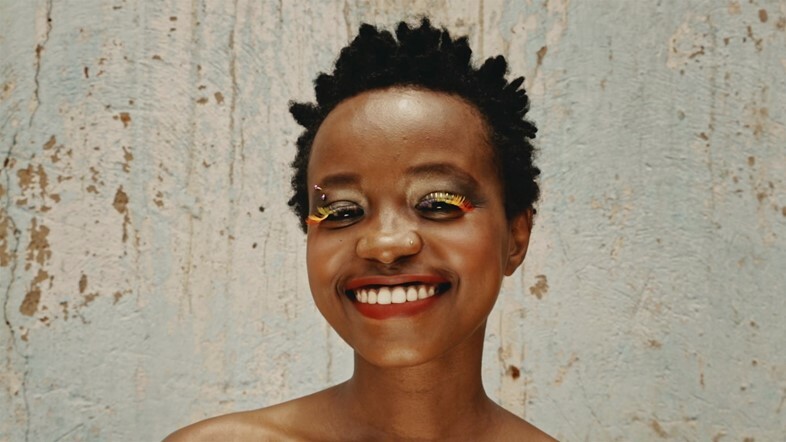 The line-up of the album includes queer Malawian rapper Ivy B, Ugandan singers and rappers Shivan, Kowa Tigs, Bad Black and Brayo Bryans, as well as Mista Majah P from Jamaica and Umlilo from South Africa. Exploring the feeling of displacement in home countries, a member of the group explains in their short film, “there is an urge to be free.” Their stories are varied and troubling: Ivy B has sought refuge in Sweden because of the discrimination she faced in her country of origin, Shivan wears a face full of piercings “for protection” and Bad Black was left completely abandoned by family as a teenager after suspicions about their sexuality. The artists know how it feels to have their very existence seen as criminal. And yet when you hear songs like “Unmask” or “Pride and Prejudice”, there’s unrelenting poetry and a fight to prove their humanity – “we are different/but love is love/and it is no different” – they reject ideas of sin and damnation for freedom and coexistence. In their psychedelic video for the protest anthem “Equal Rights”, the political message is loud and clear. Hearing the words “equal rights to love” boomed by a thick distinct voice of dancehall could be the zenith of international queer activism. The single has since been picked up for the UN ‘Global Goals’ campaign: an initiative to end extreme poverty, inequality and climate change by 2030. 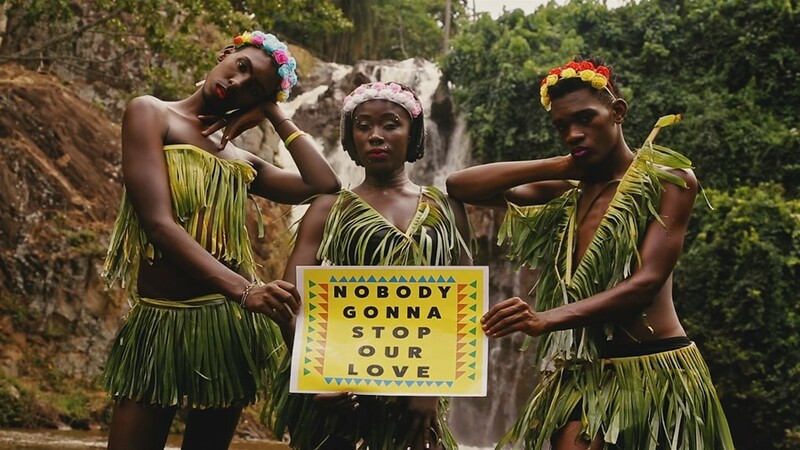 When a violently anti-LGBT artist from Jamaica was booked to play in Stockholm, Wallenberg and his friends took it upon themselves to start the conversation in his home country. He tells Dazed: “I don’t believe in censorship but I do believe in protesting when you think something is wrong.” And when lyrics can be directly linked to the growing assaults and deaths of LGBTQ figures in the Jamaican communities, Rainbow Riots took a stand to call out the spread of hate speech and challenge prejudice. The album elevates the queer work that inhabits the very same space that closemindedness had been thriving. To infuse the same dancehall – that some have taken and corrupted as a tool to oppress others – with a positive and pro-gay message, to exist within the same sphere of sound, would act as the ultimate affront to ignorance. It does the same with gospel too. A gospel choir makes an appearance, made up of the Ugandan LGBTQ community, lifting the message of love from scripture. It does so in the heavily religious Uganda, where religious condemnation is often used as a weapon against LGBTQ people. At some point during the tension, he even heard screams coming from outside the building. Later, he found out that someone had jumped from the fourth floor of the building in an attempt to flee to safety, and had broken their spine in the fall. The one day of freedom for so many – to occupy a safe space and finally feel accepted – was shattered, and he describes the fatigued sadness he witnessed in the eyes of those around him. He says this life-changing experience only fuelled the project further. Ugandan singer Kowa describes the collective as “a vehicle for our struggle for equality” and now registered as a charity in both Sweden and Uganda, Rainbow Riots hopes to enact tangible change in the communities for LGBTQ people through political discussions and community infrastructures. The Rainbow Riots group is taking in intolerant anger and unleashing positivity back – creating something life-affirming for the people who need it most. From the opening track to the close, the vibrancy of the LGBTQ spirit echoes in the beats and melodies, through pop, electro, afrobeats, dancehall and gospel creations. Even though the collective spans continents, the message is a unified one – a message of hope. “We’ve gone from oppression to liberation in one lifetime,” Wallenberg asserts. Thinking of the strides the LGBTQ community has made in the fight for rights and representation in the last 50 years forces you to realise just how fast things can move. Does he thinks that this inspires people to try to enact as much change as they can immediately, with the knowledge that such change is possible? Wallenberg clarifies the contrary, emphasising just how recently oppression was deeply present in our communities. We have witnessed the vast progression of human rights and they continue to face adversity, and we cannot forget how fresh that is. It’s often evaded that much of the same anti-LGBTQ legislation that is so stubbornly entrenched in the politics of some countries originated under European colonial rule. By staying conscious of it, we can understand the importance of continuing the fight for others and see the possibility of a better future for all regardless of place of birth. The ethos of the collective is one of transgression and empowerment, beyond the boundaries of LGBTQ rights. Kowa explains to Dazed: “Most of all I want to show a sense of pride and motivate others”. Wallenberg describes how the project is “taking people who are marginalised in society and turning them into icons”, and in pushing an agenda of joyous freedom of expression through a backdrop of oppression and prejudice, Rainbow Riots is doing just that. When Wallenberg first visited Uganda, he was overwhelmed by the strength of the LGBTQ movement there. The media has yet to shine a major spotlight on these cultures, that thrive despite the fact it can be near impossible to survive as an LGBTQ person there. The presence is huge and steadfast against all odds, ready for the global stage. Many of the artists have put themselves in serious danger even being a part of the project, with some remaining anonymous until now.